Designed for medium sized LCD, LED and Plasma flat screen TVs up to 47 inch with a maximum peak weight of 100kg. The TS700 offers an incredible lifting stroke of 700mm travel from the minimum required build-in height for the lift which is 600mm (excluding lifter), this allows cabinet makers to keep the height down when required and makes this lift usable for installation almost everywhere. 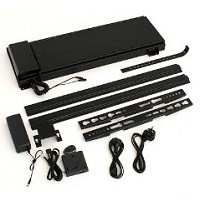 The TS700a Lift is suitable for many other applications where a lift mechanism is required and can be set to either lift or lower making it an ideal ceiling lift, allowing your TV to be concealed in ceiling voids when not in use. It comes as standard in raise mode but full instructions are included to configure the unit to lower. The Venset range of lifts can be used for all kinds of projects and are often used to lower microwaves along with other kitchen appliances from cupboards or raising them from kitchen counters / islands. The design of the lift allows the user if required to adjust the total stroke of the lifting action up to a total maximum stroke of 700mm this allows the user to finely tune the total height that the lift comes out of the cabinet extremely handy if you are planning to fit a base board. In addition the lift features an anti-squeeze safety mechanism if the moving parts of the lift meet an obstacle in moving operation the lift will stop and reverse. 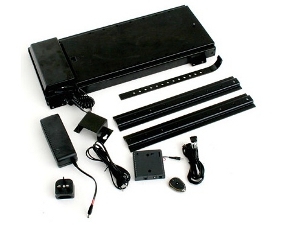 The Venset TV lift comes with an RF remote control system and a single key fob remote handset. 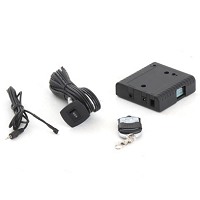 You do not need to be in the line of sight for the remote to work and the receiver can be concealed within the cabinet, a manual panel mounted rocker switch is also provided. The Lift is suitable for all vesa mounting patterns from 100 x 100 up to a maximum of 400 x 400 just by arranging the horizontal mounting bars. Everything required is in the box except for the mounting bolts required to fix your TV to the Lift. Key things to take into account when ordering a lift. Helpful note Take note of the total height of your screen add this to the thickness of the cabinet lid or opening that screen is coming from also add a little tolerance for the guard that protects your TV from making contact with the cabinet lid. This will be the total amount of lift or stroke that you will require to raise and lower your TV screen from a cabinet or ceiling void. This is a great eco addition to any cabinet project and can be fitted so that when the lid closes on the cabinet the power is cut off to the TV so that it is not left on standby using electric when not in use. 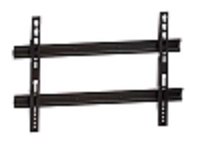 The additional mounting plate increases the vesa pattern to a maximum of 600 x 400 if required and is also useful if the lift is being mounted where there is no access to the rear of the lift for example behind a cabinet on a wall. The additional purpose made floor stand enables installers to fix the Venset TV Lift either to a flat floor or in reverse directly to a flat ceiling. maximum screen size up to 47"
Extremely pleased, very helpful advice over the phone on what I would require. Prompt delivery and according to my carpenters who installed it, very simple to install. Its working perfectly and having had the additional swivel action added has given a lot more scope for viewing at most angles. Not silent when rising and falling but not too loud. Product arrived quickly and was easy to install. it would have helped to have some instruction on the best height to install it at and what height the tv would be. Having hung it in the cupboard and attached the tv the tv wouldn't go low enough so I had to take it all apart again and rehang it lower. Once I had done that it worked great. So the max distance between the top and bottom tv fixings is 300mm, if your tv is that big you will need to hang it on the top setting. This meant when the lift was right down the top of the tv was 80cm above the base of the cupboard. We installed this inside a radiator cabinet and it looks great and performs perfectly. Couldn't have wished for better. This is an extremely well made product absolutely solid. The instructions for installation are very clear. It arrived quickly and the order was complete with the other things I had ordered. I want to use this lift in my bedroom for an end of bed cabinet how quiet is the lift? I don't want wake my children in the adjoining room. Hi Andrew thanks for getting in touch, the ts700a is incredibly quiet near on silent when installed correctly please ensure that the backing plate is reinforced to a minimum of 20mm this will create a strong rigid surface with no play to mount the lift too. Generally the only time that lifts get noisy is if there is flexabilty on the mounting surface. Hi David Thanks for the order and question, there should be no need to purchase the additional support bars. If necessary you could add additional clearance by using spacers on the back to over step the motor cover. If you run into any problems give us a call on 01604 493755 always happy to help. Can this lift be used the other around or in reverse so that the TV can drop down from the ceiling? 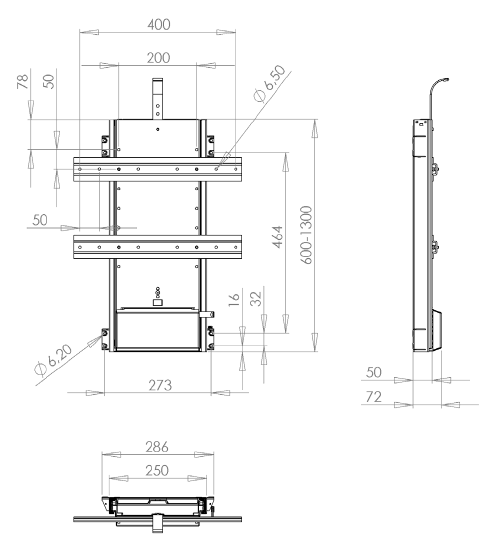 Hi Henry thanks for your question Yes the TS700 lift can be used upside down in reverse, please note however that you will need to reverse the jumpers inside the control box so that the motor torque is on down stroke rather than the up. Full instruction are included with the lift on how to perform this operation and if you get stuck give us a call on 01604 493 755 we are more than happy to guide you through the process. It is also worth noting that you want to consider the TS100oa as this will give you a bigger drop bringing the TV further down into the room at a more cofrtable viewing height. Where do I fit the rocker switch for the TS700A ? has it got to be fitted outside the cabinet ? Hi Richard The rocker switch can be mounted either inside if you don't intend to use it, or outside if you do intend to use it.